Your little guys can get a taste of the tropics without ever taking flight by sporting colorful boys Hawaiian shirts. A Hawaiian shirt or Aloha shirt is a type of dress shirt made popular in the Hawaiian Islands. The comfortable tops feature short sleeves, a collar, and a button-down front. Some companies offer pullover Hawaiian shirts, but they are rare. Hawaiian shirts are known for their colorful prints, which reflect the beauty of the 50th state. Many people have the perception that Hawaiian shirts are obnoxiously loud, brilliantly colored with bold floral patterns and gaudy Polynesian prints. However, traditional Hawaiian shirts for boys and men, which are made locally in the "Aloha State," are significantly subdued. They feature conservative Hawaiian quilt designs, tapa designs, and simple floral patterns in muted colors. The muted tone is a result of a manufacturing style called "reverse print," whereby the shirts are printed on the interior, resulting in a subtle look on the exterior. Another type of Hawaiian shirt is the contemporary aloha shirt, which typically does not sport traditional Hawaiian quilt or floral designs. Instead, these stylish shirts feature everyday items, such as cars, dogs, drinks, and boys' T-shirts with sports team logos, arranged in the same repetitive pattern as a traditional Hawaiian shirt. 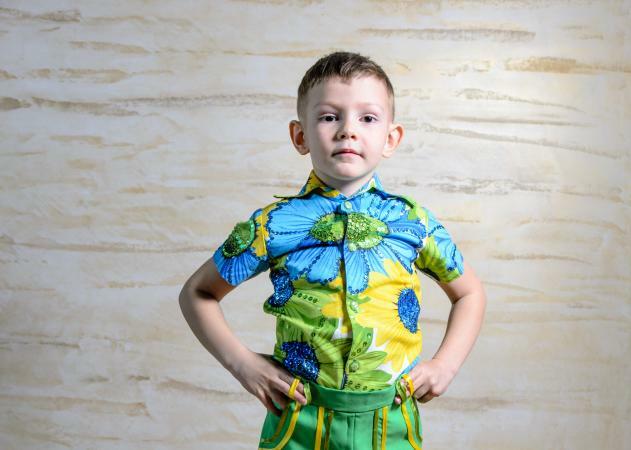 Regardless of your youngster's personality, a tropical Hawaiian shirt is a way to make a statement about his fashion sense. Boys Hawaiian shirts come in a variety of sizes. 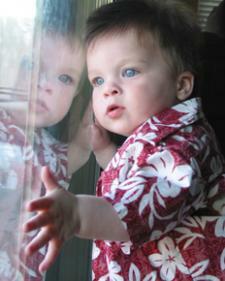 When shopping for Hawaiian shirts for boys you will be treated to a wide selection of colors, styles and prints. Once you settle on a design, it's important to read the shirt's label in order to get the proper fit. Handcrafted Hawaiian shirts for boys are typically made of 100 percent cotton, which makes them cool and comfortable, but the fabric is also known to shrink. As a result, it is strongly suggested that you select a size larger than what your little guy usually wears. By doing so you will guarantee a comfortable fit and allow room to grow.